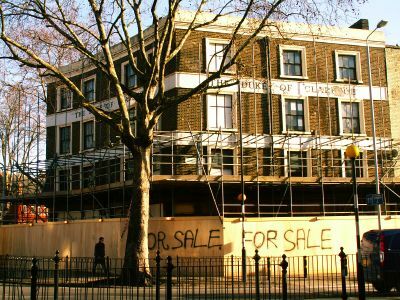 Is The Clarence ex-boozer at St George's Circus finally being pulled down? i noticed the hoardings have gone up. If demolished, is this part of the Elephant redevelopement? I noticed, whilst driving past the other day, that there is now scaffolding up around the old Duke of Clarence pub right along London Road to number 126. Does anyone know what's planned as I understood that the College now owned this site however the buildings are listed so I would be interested to know what is planned for them. Just curious really - no doubt more student accommodation!!! on the 7th floor of the Keyworth Centre, Keyworth Street. Worth going to have a look even if just for the view from the 7th floor of the Keyworth Centre.